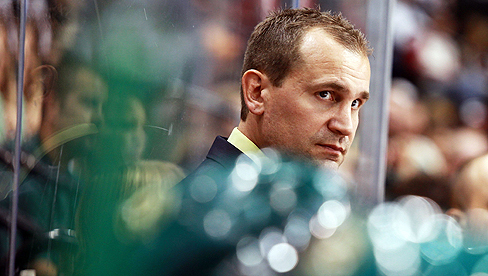 The second head coaching tenure in Minnesota Wild history has come to an end. Wild General Manager Chuck Fletcher has announced that Head Coach Todd Richards has been relieved of his duties effective immediately. The decision was made known Monday morning, the day after the Wild concluded Richards' second season as bench boss. The 44-year-old coach posted a record of 77-71-16 after taking over for Jacques Lemaire, the only other coach in franchise history. In both seasons, the Wild was in playoff contention through the winter, but both seasons also ended without playoff appearances. “I would like to thank Todd for the hard work he provided to the Minnesota Wild organization the last two seasons and wish him the best in the future,” said Fletcher, who admitted the difficulty of the decision. "Todd and his staff worked extremely hard to help this team win hockey games and ultimately these are tough decisions. I just felt going forward we needed a new voice to lead this team into next season. Certainly, the disappointment of not making the playoffs had a part in this, but I also feel that going forward we needed a new voice; we needed a new direction. Once you come to that decision the important thing is - for the organization and for the individuals affected - the important thing is to do it as quickly as possible." Fletcher and Richards go back a long way in their hockey careers. Richards spent two years as head coach of the Wilkes-Barre/Scranton Penguins of the AHL from 2006-08, and Fletcher was the GM of that team. When Fletcher took over the GM duties for the Wild, the up-and-coming Richards, who was an assistant at San Jose at the time, was his choice. Now, Fletcher will be faced with more choices. He will first have conversations with the rest of the coaching staff, which includes Dave Barr, Rick Wilson and Darby Hendrickson. From there, his attention will turn toward an exhaustive search for the next leader of the Wild, who will also have a say in what the rest of the staff looks like. "When we hire a new head coach, a new head coach will obviously play a large part in the formation of the next coaching staff. Between now and then, I certainly expect to have some conversations with them, but at this point, that remains to be determined." Richards came to the Wild preaching an up-tempo style centered around puck control. The Crystal, Minnesota native established himself as a laid back personality, who fiercely protected his players publicly. When asked about what he would look for in his next coach, Fletcher didn't necessarily say he'd look for a different philosophy, but just the right leader. "We'll find the right fit," said Fletcher. "Coaching's coaching; it's about communication, it's about structure and it's about holding players accountable. Most teams play similar systems now and we'll just try to find the right fit for this particular team. Every team is different; not every coach is a good fit with every team. I think the important thing is to find the right fit. That's what we'll do and we'll take the necessary time to find the right coach." Wild players were informed of the decision this morning as well. See their reaction in the related items sidebar of this story.